Yesterday, I posted Paul Lewin's impressions of my Anstead Oceanis. This was the first watch produced by Tom Anstead, and it has become one of my favorites. 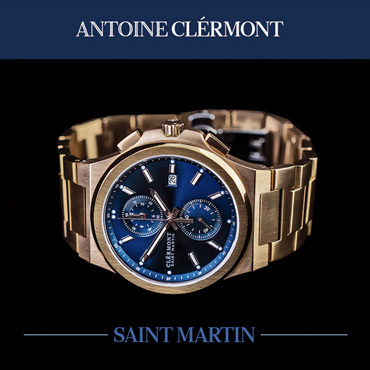 The watch was launched on Kickstarter in 2012 and was a runaway success. 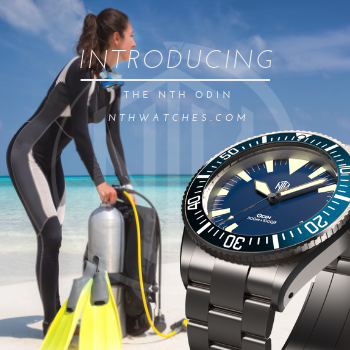 Now, Tom is taking orders for the second generation Oceanis, a revised and upgraded version of the original. The second edition builds upon the first, retaining its best features and subtly revising others. The case is once again 44mm wide and composed of brushed, 316L stainless steel, but has sprouted a pair of angular crown guards. 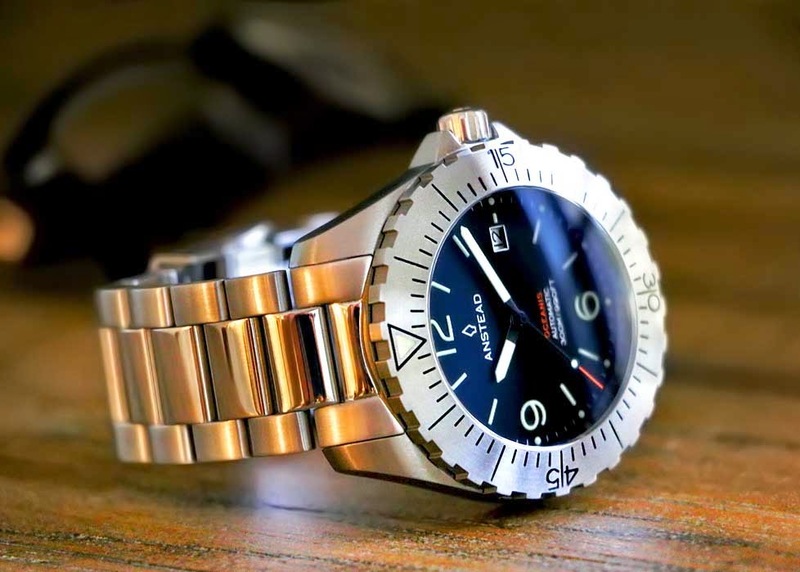 Like Paul, I fell for the saw toothed crown and bezel of the original Oceanis, and those features are now gone; however, this not a bad thing. The new model retains the proportions of the crown and bezel and incorporates a square toothed, gear like design. The dental shape is every bit as aggressive as the old saw tooth, and it clearly distinguishes the new model. Like the original, the bezel is brushed with engraved and painted markers, and a lumed triangle at top center. The dial has been simplified. The 12, 6, 9 motif remains, but gone is the 24 hour index, and as Paul noted, this deletion does make the face less crowded. The new model features a black-on-white date window at 3 o'clock. I modded my old Oceanis to white-on-black day/date disks, but I would not do the same on the new model. By eliminating the day, the white space in the window has been brought into proportion with the markers, balancing the design. 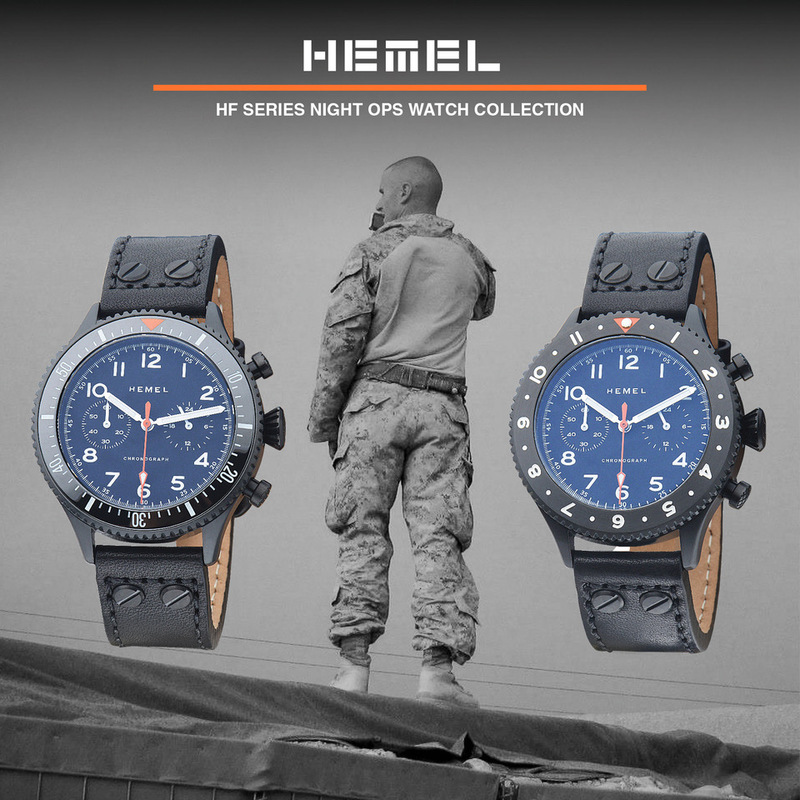 Many of the old specifications remain, including the 300 meter water resistance, anti-reflective sapphire crystal, and SuperLuminova markers, but three changes stand out. The first is the addition of a 22mm stainless steel bracelet. It is brushed with polished centers that coordinate with the polished crown, screwed links, and a signed diver's clasp. There are no details on the site, but it looks fantastic on the watch. The second major change is the movement. 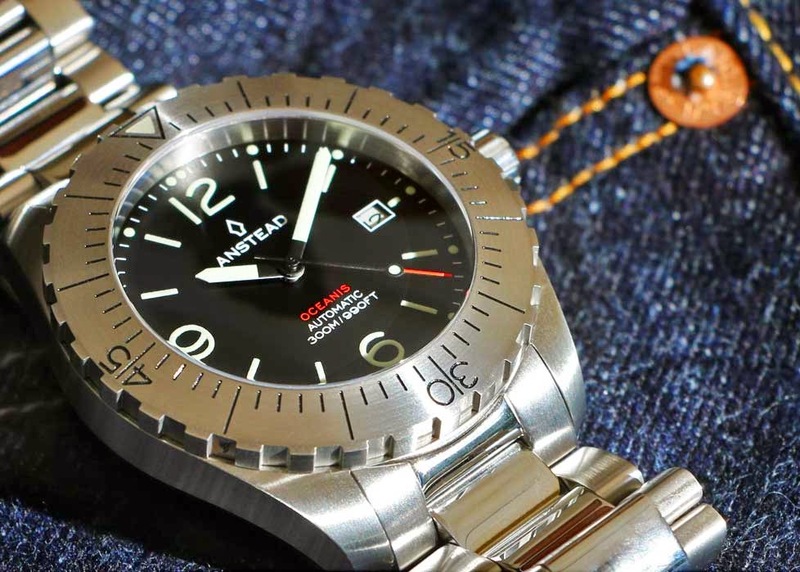 The Seiko NH36a has been jilted for the seemingly ubiquitous, high beat Miyota 9015. The third change is the cost. 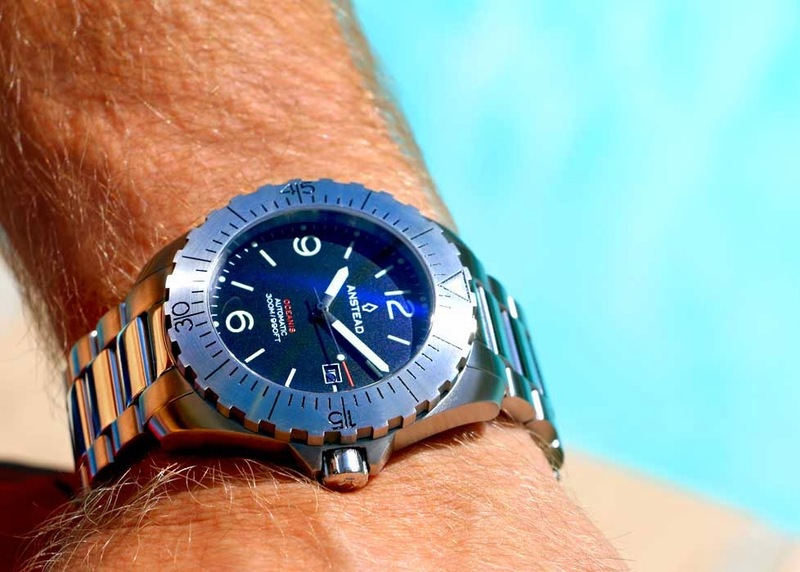 The 2012 Oceanis debuted with a $250 a Kickstarter early bird price, and sold afterwards for $399. The new model is currently $649 with an MSRP of $799. This is more than a bit of a bump, but not out of line with its competition. It is not that the new model is over priced so much as the old model was a flat-out bargain. The new Oceanis is just as handsome as the first, and packed with thoughtful upgrades. It is also selling rather well. As of this writing, only 26 orders remain. The pre sale period ends September 1. 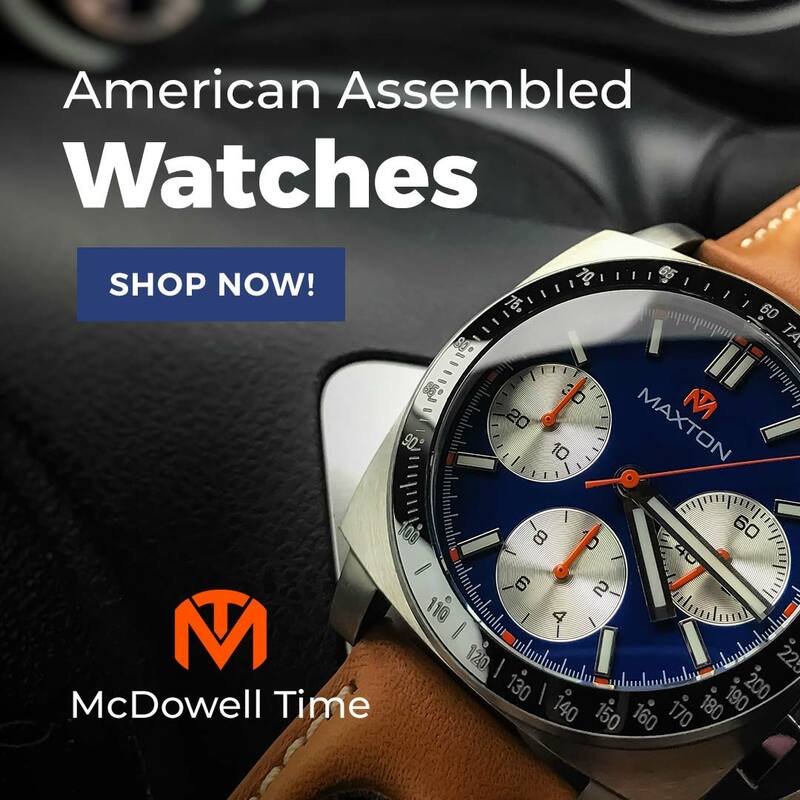 If you are interested, head over to ansteadwatches.com.